Comm Eye Health Vol. 12 No. 32 1999 pp 56. Published online 01 December 1999. To test the ability and accuracy of community health volunteers (CHVs) in diagnosing active trachoma. To test the ability of CHVs to give the correct dose of azithromycin by weight to children and adults. To test the ability of CHVs to keep records of tablets received and distributed. To test the ability of CHVs to warn patients about possible adverse reactions, recognise them when they occur and take appropriate action if required. To test the feasibility of using azithromycin tablets in pre-school children. To document the response of each household to all occupants being offered azithromycin. To examine the relationship between height and weight in individuals requiring azithromycin for trachoma control. 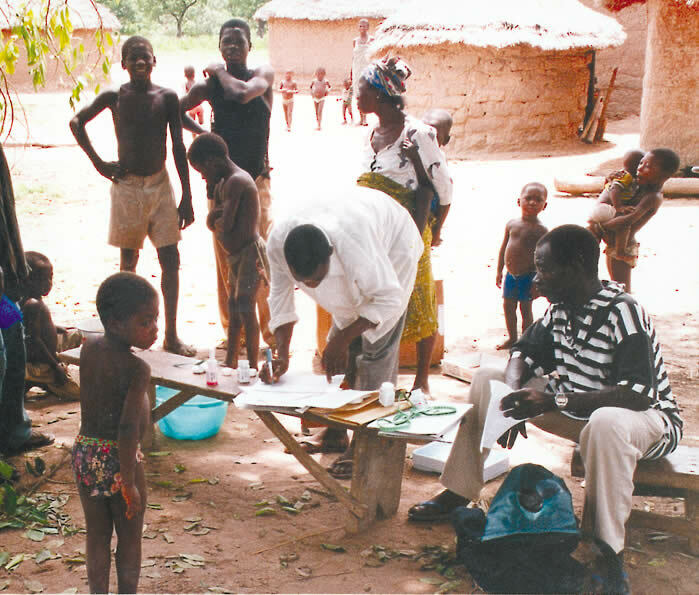 The six volunteers, who have previously been involved in the Guinea Worm and Onchocerciasis Control Programmes as well as the distribution of ocular tetracycline for trachoma control, were given four days of revision on trachoma, and training in the use of azithromycin. Education sessions included theory, practical sessions teaching eye examination skills and the techniques for weighing and measuring, dose calculation and drug preparation. The CHVs then examined a total of 675 individuals in ninety households in local villages, looking for evidence of trachoma. They were accompanied by supervisors who independently examined all subjects, and intervened in treatment only when mistakes were about to be made. 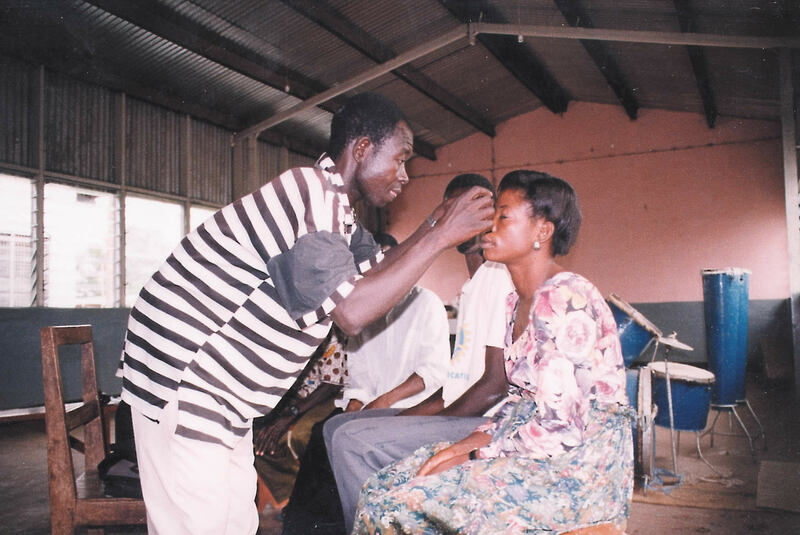 Azithromycin (a single dose of approximately 20mg/kg) was given to all individuals in any household in which there was at least one case of active trachoma. The volunteers performed creditably. The decision to treat or not treat each household was correct on more than four out of every five occasions. The dosing reliability and drug management skills of CHVs were generally good. Community response was very positive, refusal of examination or treatment rare, and adverse reactions infrequent. Both 250mg tablets and suspension 200mg/5mL were available. Nearly all those 4 years of age and older were able to take tablets. Height and weight data was recorded for all individuals in treatable households, and the correlation between the two suggests that height could be used instead of weight for dose determination for those people able to take tablets. Given the practical difficulties involved with using weighing scales in remote settings, this finding could be of great potential benefit. Unfortunately, using height or length to predict dose for children requiring suspension was less reliable. The major problems encountered in the study were weighing procedures, the use of azithromycin suspension, and volunteers’ record keeping. The conclusion of the study, both volunteers and supervisors felt that a longer training period would have been of benefit. It is suggested that future education efforts would place more emphasis on the diagnosis of TF and TI at the expense of time spent learning about TS and CO. Additionally, more teaching time should be devoted to drug side-effects and record keeping skills. A paper is in preparation.